The establishment of the Emirates Global Accreditation Centre boosts the halal sector through providing international recognition from concerned organisations regionally and globally. This helps facilitate trade and strengthen the role of Dubai and the wider UAE in global commerce and industry. The Halal National Mark that was launched by the Emirates Standardization and Metrology Authority (ESMA) largely enhances the competitiveness of companies working in the halal food sector through ensuring best quality standards across production and marketing operations. This step can go a long way towards globalising standards through unifying individual efforts. In addition, the establishment of the Dubai-based International Forum for Halal Certification Bodies reinforces the UAE’s efforts to become a global reference point in halal certification products as well as in enabling legislation. 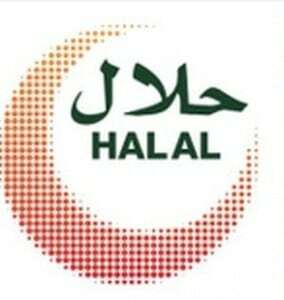 The Forum will regulate the halal industry and introduce an inspection mechanism that safeguards customer rights and helps build confidence in halal-certified food and non-food products world-wide, even while facilitating trade movement in the halal industry and boosting cooperation among regional and international organisations. As with all sectors of the Islamic economy, halal production complements other sectors and any growth in this sector triggers a resulting growth in Islamic economy as a whole. This is a process in which the human capital is not merely a source of profit but is its essential tool and primary purpose. Islamic economy has increasingly led to the realization that human capital is the key to stabilising and sustaining trading operations that can truly revive the economy.